Many people love to keep pets in their home, but pets need love and care. It is not easy to take care of pets as they need your time and attention. Before bringing a pup to your home it is essential to know some tips to take care of your pet. From nutrient-rich food to clean water, and a safe environment there are many things that you need to consider for your dog care. Proper care and diet ensure that your four-legged partner will live a long and healthy life for years. Let us check some useful tips to take care of your dog at home. If you want a good health and long life for your dog, you need to feed it a high-quality nutrient-rich diet. 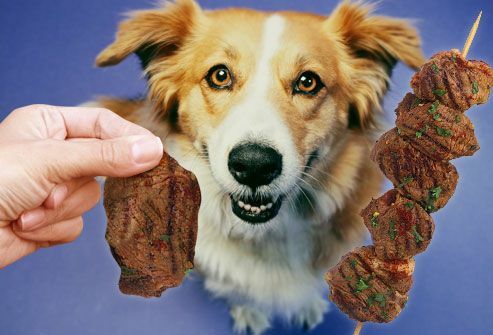 Feed your dog with real meat not a by-product of meat or grain. Some dogs may need a special diet to help manage their health conditions. If you have brought your first dog at home, ask your veterinarian about the diet it needs. A veterinarian will suggest a proper diet according to the age and breed of your dog. In addition to the right feed, the frequency of meals is also crucial for the health of your dog. If your dog has any digestive issues, ask your veterinarian about the frequency of feed for your pet. Every pet needs clean and adequate water for survival and health. The dogs that get sufficient water have healthy skin, a shiny hair coat, and bright eyes. Always feed your dog with fresh, clean and cold water in its bowl. Ask your veterinarian about the amount of water it needs per day. You need to fill the bowl of your dog with water several times a day. Filling its bowl will encourage your dog to drink sufficient water for its health. All pets need exercise as their bodies are made to stay fit. Whether you have a small pup or a grown-up dog, you need to take your dog for a walk so that it gets enough exercise and movement for its body. If a ground is available where pets are allowed, take it to that ground for some play time. If your dog is not aggressive, you can leave it open in the house. In case you have a yard, leave it for at least 15 to 30 minutes for playing there. Some pet lovers play themselves with their pets in their yard or a park. The dog boarding kennels Melbourne have a particular area for pets where they can play and roam around. Most people don’t take care of their dog's teeth until a problem arises. It is essential to start brushing the teeth of your dog from a young age to develop good dental habits. In addition to brushing, there are many dental chews and toys that you can encourage your pet to use. You can take your dog to a veterinarian for professional dental care at regular intervals as recommended. Pets are also vulnerable to obesity like humans if they are fed the wrong foods. In fact, obesity is one of the most popular diseases in the pets as shown by various studies. Obesity can reduce the life of your pet by a few years. It can make your dog vulnerable to other ailments like heart disease, joint disease and diabetes. Like human kids, dogs also need vaccinations for protection from various diseases. Consult your veterinarian for the details and schedule of vaccinations required for your dog. Vaccinations protect your dog from many deadly diseases and help to live longer and healthy. Protecting your pet from parasites is necessary. However, the dogs are at risk of picking up the worms as they play in yards or go out for walks. If your dog stays indoor for more time, it is at lower risk as compared to dogs that play outside. Every dog needs a round worming treatment offered by the pet doctors. Ask your veterinarian about the treatment to protect your dog from the parasites. It is essential to take care that your pet does not go out unsupervised. Allowing your pet to roam outside alone seems like you are doing a favour for them, but they are exposed to many dangers. The most prevalent danger is vehicle accidents while others include predation and exposure to communicable diseases. You must carry your dog to a veterinarian regularly. Taking your dog to a veterinarian from the beginning helps you to follow the correct vaccination schedule, a proper nutrient-rich diet, and keep the disease at bay. However, if you have not maintained an appropriate schedule of visit, you should consult your veterinarian for the same. Consulting your veterinarian regularly can keep your dog fit and healthy for life. Dirty skin and coats can lead to infection. It is necessary to bathe your dog at least once or twice a month. The frequency of bathing varies according to breed and daily activities. Also, your dog's coat grows and need trimming. Ask your veterinarian about the frequency of bathing and trimming the coat. The above-given points are a few of the top pet care tips you can follow for your dog. Following these tips can help all pet parents to take care of their dog and offer it a healthy lifestyle.